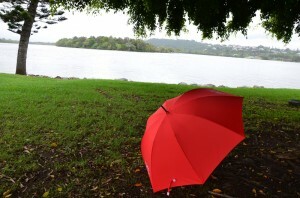 Two of Irene’s photographs recently exhibited at The Brief, Curious Art Gallery (Digital Photography); the bridge that links Southbank to the CBD in Brisbane city, QL state and the red umbrella by Chinderah Bay, NSW. 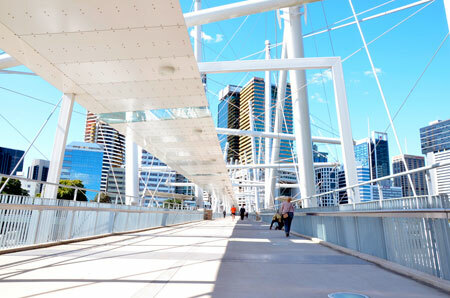 The bridge was also selected to be featured at the Arts Northern Rivers FB website. 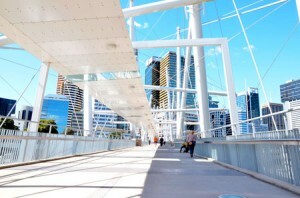 This entry was posted in Travel & Photography and tagged Brisbane City. Bookmark the permalink.